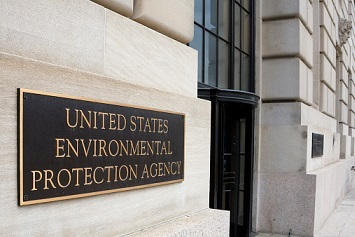 Stating its intention to lower costs and more effectively utilize limited resources, the EPA has proposed a budget for 2019 that would reduce its funding by 23% ($8.7 billion to $6.1 billion) and the number of staff from 15,408 to 12,250. The proposal would eliminate 34 discretionary programs and activities, slashing $598.5 million compared to the 2018 annualized continuing resolution (CR) levels. Categorical grants for nonpoint source pollution. This program provides grants to assist states and tribes in implementing approved elements of nonpoint source programs, including regulatory and nonregulatory programs, technical assistance, financial assistance, education, training, technology transfers, and demonstration projects. The program was funded at $170 million in 2018. Seven geographic programs for coastal water protection efforts around the country, including the Gulf of Mexico, Long Island Sound, Puget Sound, the Florida Everglades, and San Francisco Bay. These programs were budgeted to receive $62 million in 2018. Leaking underground storage tank (LUST) prevention. This program provides resources to states, tribes, territories, and intertribal consortia for their UST programs, with a focus on inspections, enforcement, and development of leak prevention regulations. It was funded at $25 million in 2018. National Estuary Program/coastal waterways. This program works to restore the physical, chemical, and biological integrity of estuaries and coastal watersheds. The 2018 funding was $27 million, which supports 44.6 EPA full-time equivalent (FTE) employees. Targeted airshed grants. This program offers competitive grants to reduce air pollution in the top five most polluted nonattainment areas relative to the annual ozone or PM-2.5 National Ambient Air Quality Standards. The 2018 annualized CR was $30 million. Atmospheric protection. Fourteen programs would be eliminated, including Center for Corporate Climate Leadership, Coalbed Methane Outreach Program, Combined Heat & Power Partnership, Global Methane Initiative, GreenChill Partnership, Green Power Partnership, Landfill Methane Outreach Program, and Natural Gas STAR. Collectively these programs were funded at $66 million in 2018. Other programs, including nondiscretionary programs, that would receive reduced funding include. Chesapeake Bay. A $65 million cut ($72 million to $7 million). The proposal includes modest increases for drinking water ($100,000); homeland security ($291,000); and Superfund cleanup ($5 million, less than 1% increase). More substantial increases are proposed for information security ($7 million to $14 million); water infrastructure finance and innovation ($13 million to $20 million); and workforce reshaping ($0 to $6 million; this activity was not funded in 2018). All the above amounts have been rounded. The final budget is in the hands of Congress. Last year, the Agency proposed even deeper cuts (30%), but many of those proposed cuts would have shifted significant environmental tasks and responsibilities to the states, both red and blue, and also eliminated jobs. Congress responded by cutting the Agency’s 2018 budget by only 1%. EPA’s proposed 2019 Budget in Brief is here.